In my nearly two decades of work with National Fatherhood Initiative (NFI), I’ve seen growth in the number of organizations and types of programs that seek to become father friendly. Nowhere has that growth pleased me more than in programs focused on the health of mothers and infants, commonly referred to as maternal and infant health (MIH) programs. That’s because these programs have, unfortunately, left dads out of the equation when it comes to enhancing the health of moms and infants, despite a large body of literature that shows how important dad’s involvement is to the health of mom and baby during the prenatal and postnatal periods. Fortunately, some forward-thinking healthcare professionals have recognized this glaring omission. They’ve taken up the call to help MIH programs become more father friendly by sharing ideas on how to effectively engage dads. One of the best sources of such ideas is a guide from the Maternal and Infant Health Center of Excellence at the University of Rochester Medical Center in New York. It answers the following questions. Why involve dads in maternal and infant health? What are some of the barriers to dads’ participation in MIH programs? What are some promising strategies for engaging dads in MIH programs? Moreover, it includes these seven steps to engage dads. Create a father-friendly (i.e. welcoming) environment. Identify how and where you will reach and communicate with dads. Create and deliver dad-specific messages. Identify the activities or programs that will engage dads, and how and when you’ll conduct them. Identify the individuals and organizations with which to partner. Identify those that can refer dads to your program and that can provide services and resources to dads in need. Evaluate your effort, such as outreach and marketing tactics that work and don’t work, and whether activities and programs increase dads’ involvement. The guide goes into more detail on each of these steps. It also covers training staff to engage dads and activities and programs that engage dads. If you run, work in, or work with a MIH program—or any healthcare setting for that matter—download and read the guide. 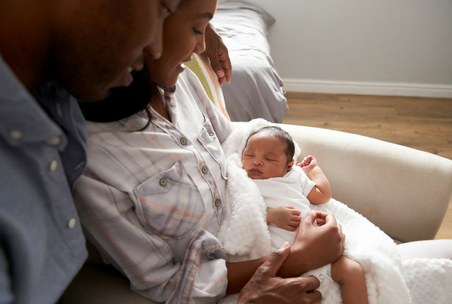 Pair it with NFI’s free 7 Steps to Starting a Successful Fatherhood Program ebook for even more ideas on how to get a father-friendly MIH program off the ground! Share both of these resources with others who might benefit from them. Do you run, work in, or partner with MIH programs? Do you know of MIH programs in your community that could stand to be more father friendly?